It works on my 2012 MBP with Beta ver. 18a384a. You need to be in 3D mode for it to work. Sometimes it gets stuck in 2D mode. Try Cmd+0 followed by Cmd+3. 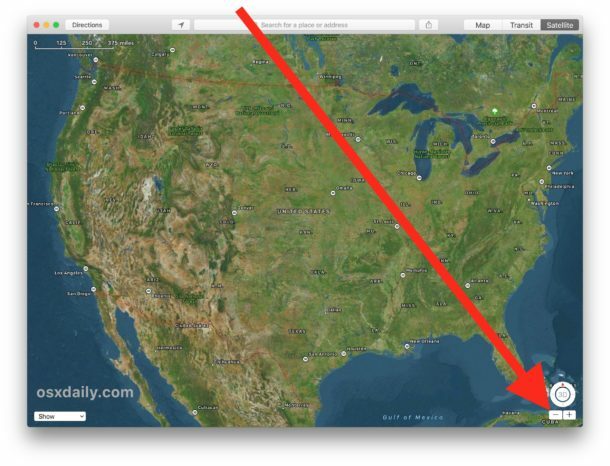 can’t get Maps to zoom out to globe view on macOS Mojave. Is this a confirmed limitation of the Mojave version of Maps? 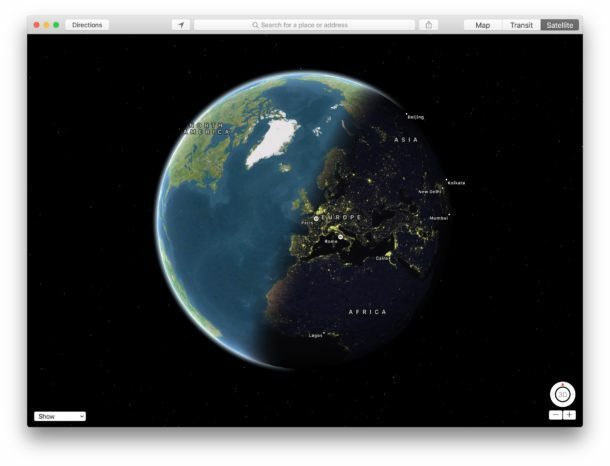 On macOS Mojave you need to turn on 3D mode BEFORE you start zooming out in order to see the globe view. If you just set to satellite and then zoom in, as indicated above, you will not see the globe view. That method only works on macOS High Sierra and earlier versions. Cool. 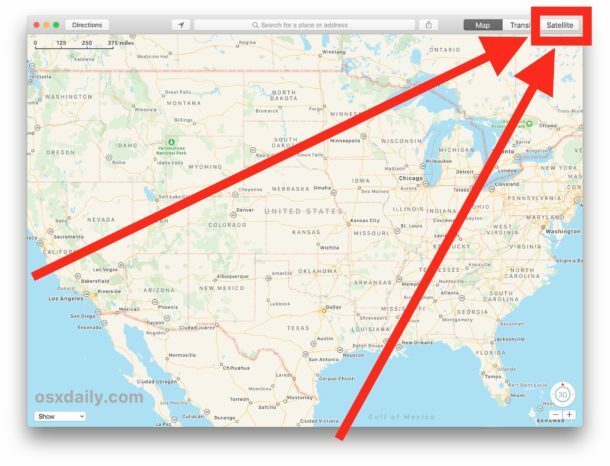 Note that the Globe View also exists in maps for iOS. To access it just switch to satellite view, turn on 3D mode and then pinch to zoom out. The globe view is also accessible from within the Find iPhone app by simply switching to satellite view and then pinching to zoom out. 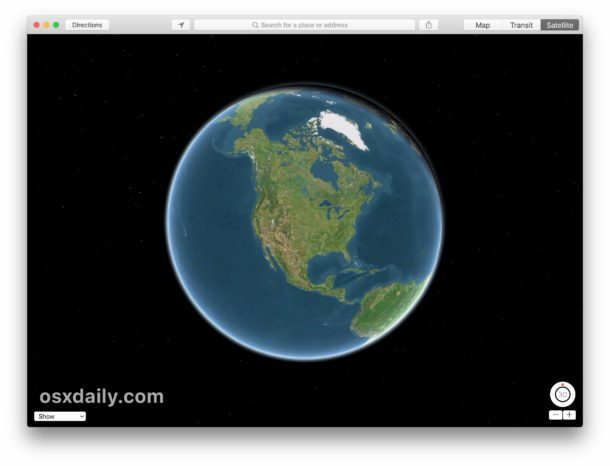 Globe View is working fine on my Mac that has OS X El Capitan. Works fine in MacOS High Sierra too. Apparently it’s just the Mojave beta where it seems not to work according to what a couple of people posted here. Then again that’s a beta, and we’ll see if it gets corrected for the final release. 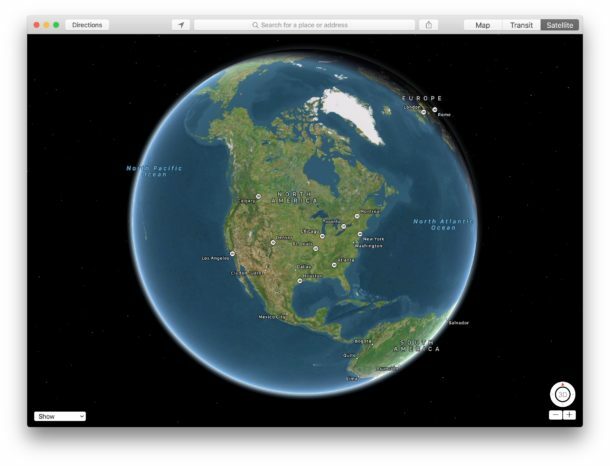 Globe View works fine over here in macOS, and you can do it in iOS too. Just keep zooming out and you can spin the map like a globe. Cool trick on Mac iPhone iPad. 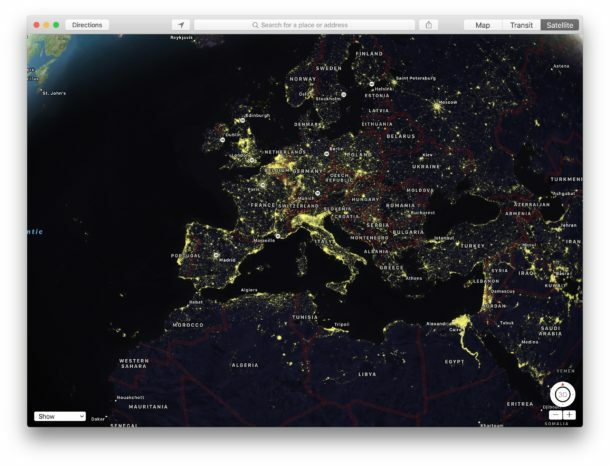 I like it, digital globe. Why can’t I get the globe anymore? Miss it so much.